For those that don’t know, Kembe & Isaiah Rashad are good friends, and they’ve both made references and/or shout outs to each other through their own songs to pay homage to that, and this is the first time in Isaiah’s TDE era that the two have linked up. Taking the hook from Isaiah’s Hereditary, that fuels this track (produced by TDE’s own, The Antydote) into a melodic yet vibrant feel. It’s August, and Isaiah’s Cilvia Demo is still in the running for one of the best Hip Hop projects of this year, and I strongly compare it to the run Kendrick had with Section.80, and as time goes on, it’ll be that EP that set the standard for future projects he’ll release. Kembe is also on the come up that has been on a lot of radars as of recent, so his room for growth is also high. 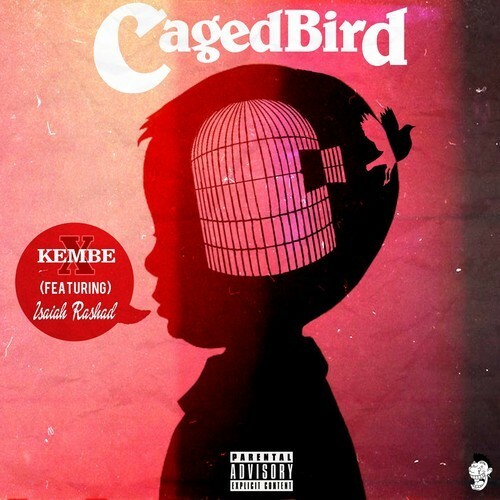 The last project I have of Kembe’s is the Soundtrack II Armageddon EP, which was alright, but we’ll see what he comes with on the next go around if it sounds anything like Caged Bird. Enjoy.